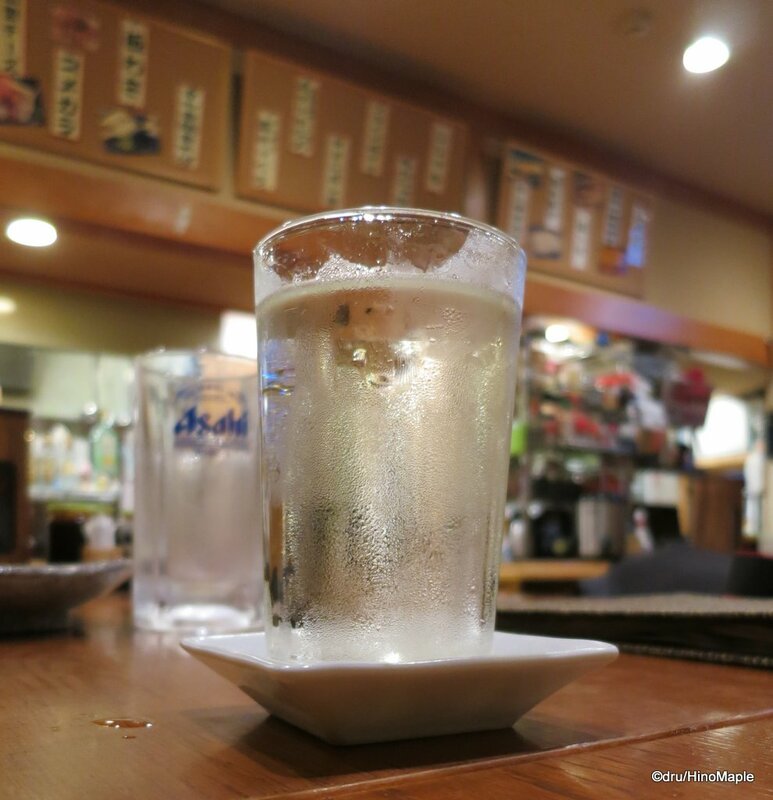 Fuudo is a small little izakaya located in a hidden area of Saijo. It is not on the main street where many people recommended me to go and eat, and it wasn’t in the touristy Sakagura Yokocho either. It is about a block away from the Yokocho which meant I could enjoy the peace and quiet of this shop. I visited this shop on a Friday night after a day of visiting various sake breweries. I was not sober when I went in and I wasn’t sober when I left either. At the time, I was starving as I had spent most of the day just sampling sake and waited a bit for one restaurant to open up. I ended up finding this place as the only place that opened early on a Friday night. 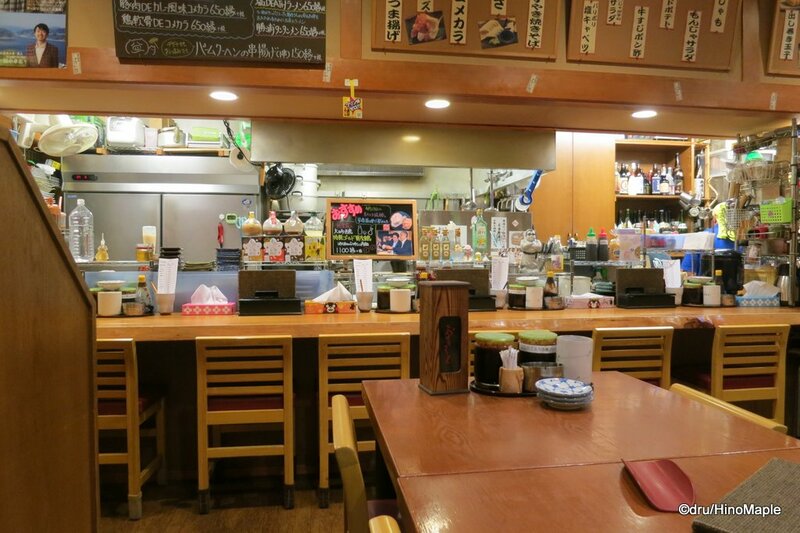 The outside looks like any other regular izakaya in Japan. It doesn’t look very old and it is inviting enough. When I entered, the people who owned the izakaya were just relaxing and watching TV. It was funny to see them startled by the guests but we promptly found our own seats and got some beers. After a full day of sake tasting, a couple of cold beers was what we needed. It was a tough day walking all over the place but we were finally able to fully relax. We started off with some breaded karage which was well done. It was over cooked on purpose to create a nice crunch and it was done well. 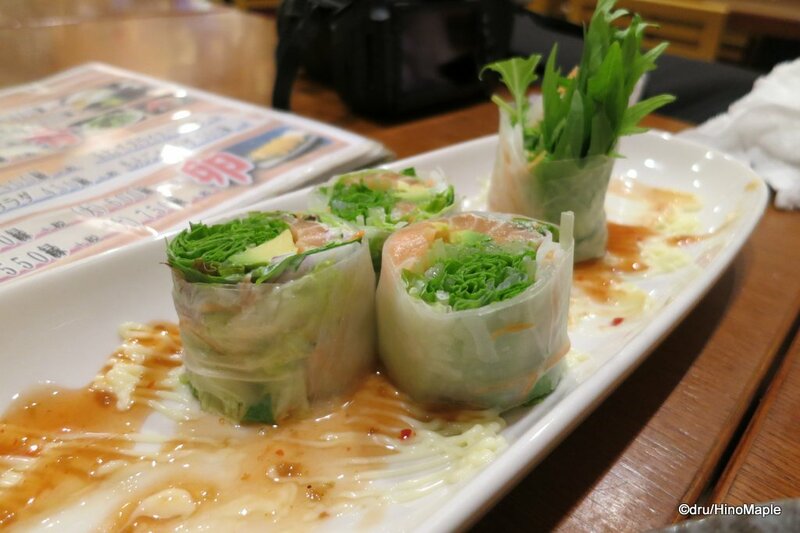 We also tried the spring roll and avocado with nori and spicy sesame sauce. It was all very good and a surprise for a small shop. 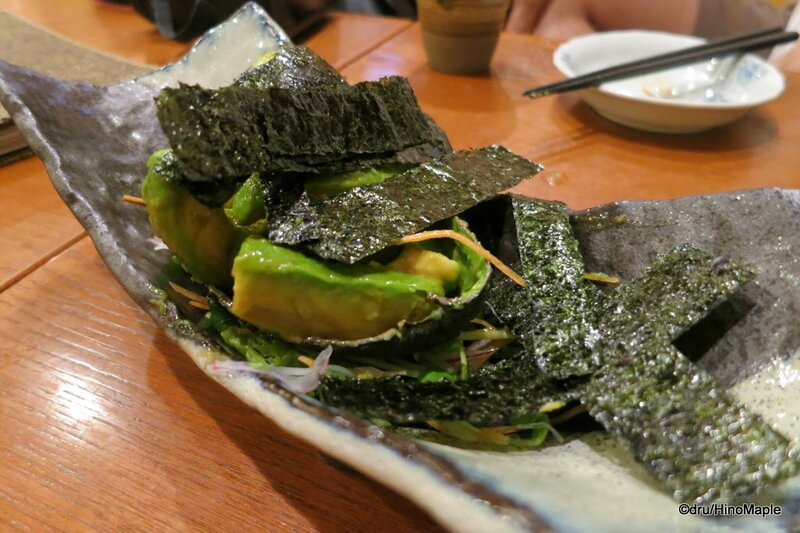 Actually, it wasn’t such a surprise as many small izakaya all over Japan have great food combinations that you would never expect. The shop also has a variety of Saijo sake on hand as well. You can’t go anywhere in Saijo without seeing some Saijo sake. I had a great time and had a couple glasses of sake along with the beer. If I am back around Saijo Station again, I’ll probably come back to this off the beaten path izakaya. I’m only worried that they won’t be around long as for a Friday night it felt as if we were the only people there. 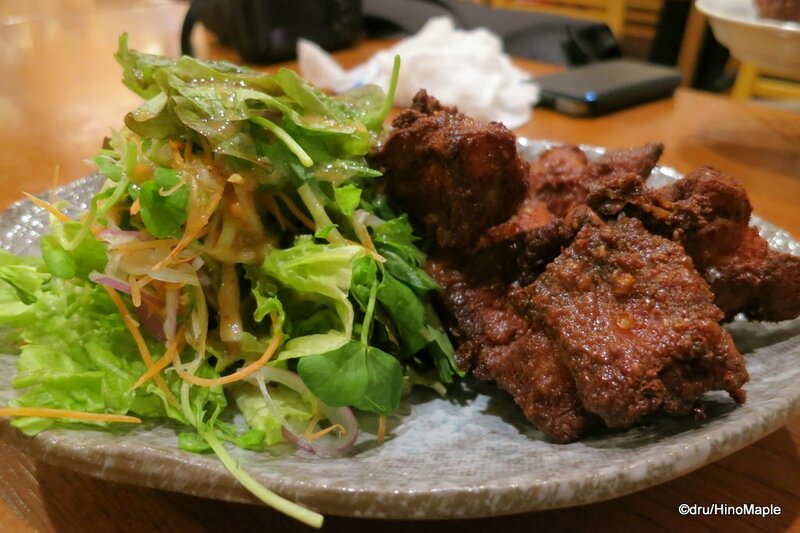 This entry was posted in Chugoku Food and tagged food, Fuudo, Higashi-Hiroshima, Hiroshima, izakaya, japan, Karage, nihonshu, Saijo, sake, Spring Roll by Dru. Bookmark the permalink. Avocado and nori? Gotta try taste that. Don’t know where else to try it, but hope you find it. If you do, let me know because I want to try it myself!